When you want to take care of any medical problems concerning your legs, the proper thing to do is to use the best equipment available, but only after consulting a physician. For years, doctors have been recommending compression socks to take care of many medical conditions, from swollen ankles and varicose veins to preventing life-threatening blood clots. Compression socks have been used in athletic workouts not only because they are more useful than traditional athletic socks but also because of other benefits. Compression socks are now also being used by athletes and trainers as part of compression therapy to boost their performance and recovery. 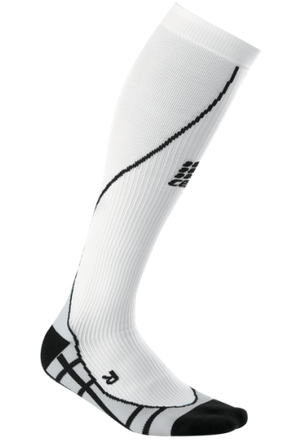 Compression socks provide therapy by gradually squeezing the skin from the ankle to the knee. This gentle squeezing enhances and improves blood flow and circulation in the leg and also increases the level of oxygen which goes to the muscle tissue. For runners, be they joggers or marathon runners, compressions socks are more favorable because during exercise, they prevent the build-up of lactic acid in the legs. 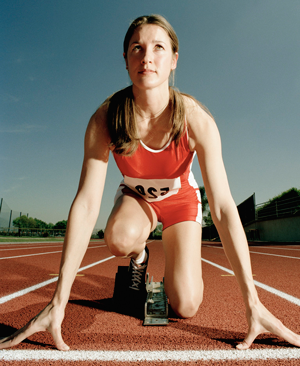 Lactic acid is the main cause for muscle fatigue and discomfort a person endures during their workout or competition, and thus; can negatively affect the athlete's performance. According to an independent study from the Journal of Sports Sciences, wearing compression socks during training or during a strenuous workout can help with Daily Onset Muscle Soreness or DOMS. Basically, wearing these socks not only enhances an athlete's performance but also provides therapy when they are recovering from any strenuous activity. According to the study, it was found that 86% of the participants who wore these graduated compression socks did not experience DOMS after their workout. Compared to the participants wearing regular ankle socks, the ones wearing compression socks were in better shape after their work outs. When choosing clothing, we always look for the right fit an high quality construction. For socks, we follow the same guidelines. Look for the right amount of compression on the label and don't opt for bargain compression socks just because you might save some money. The compression should be between 15-30mmHg so it can benefit you properly. The correct size is also important. A good sock does not get measured the same way as a shoe, so get the correct ankle and calf measurements to ensure that the sock is a proper fit. Thirdly, follow the manufacturer's care instructions so you can keep the socks in working condition. When training, the right equipment is just as important as the right outfit, and although you will not be wearing it as a fashion choice, wearing the right quality graduated compression socks will help you exercise better and recover while your body stays in its best shape.